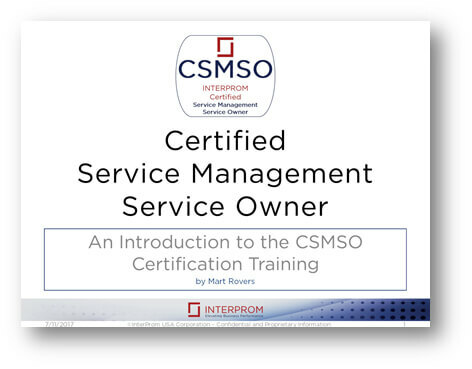 This presentation – What is the CSMSO Course? is about the Certified Service Management Service Owner (CSMSO) course, which aims to increase the knowledge, skills, and experience of service management service owners in order to best prepare them for their role and responsibilities. Service owners gain a wealth of hands-on experience and practical knowledge during the CSMSO course that is highly interactive and filled with practical assignments and materials that can readily be applied. What is the CSMSO Course? Who participates in this course? Do I qualify for this course?